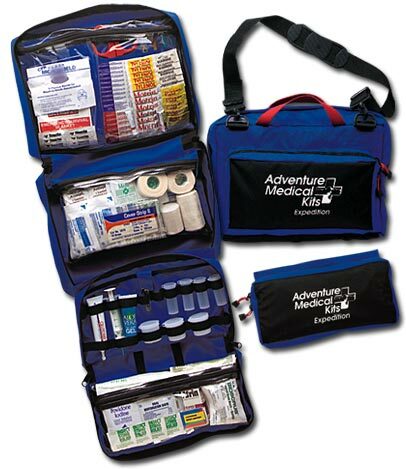 A First Aid Kit, often abbreviated FAK, is a set of tools and supplies designed and assembled to ease or make possible the performance of First Aid. Having a FAK by itself, as part of a bug-out bag, or in a vehicle or home is a large step towards be prepared for disasters great and small. It is typically the first financial investment one makes in the Band-aids aspect of the Beans-Bullets-Bandaids of prepping. However, one must also invest in the books, knowledge, training and skills of healing as well. What tools and supplies am I capable of using? How many people is this kit is for? Is it just for trauma (injuries) or also for illness? There a many different items to consider when building a FAK, these are some of the items you may want to have with you. This page was last modified on 29 March 2014, at 17:14.